Defense of Crait (LEGO Set 75202-1) is a set based in one of the scenes of Star Wars: Last Jedi. This set will be includes 5 minifigures: Rey, Kylo Ren, Snoke, 2x Praetorian Guards. The ski speeder is fun to build and you also get a cool bunker to fire from. 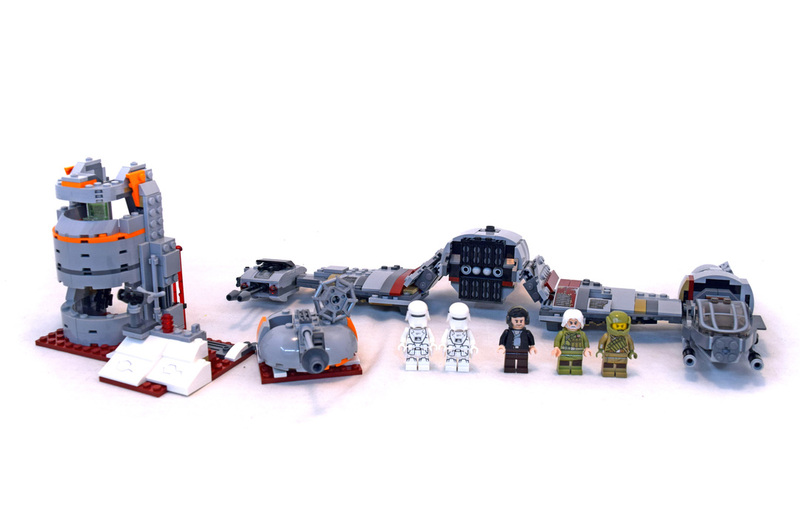 Set comes with 5 minifigures and 744 pieces.